Well it appears that my series of charts comparing ed tech tools is catching on because today I received my first suggestion for a chart topic. The suggestion was for a comparison of website creation tools. 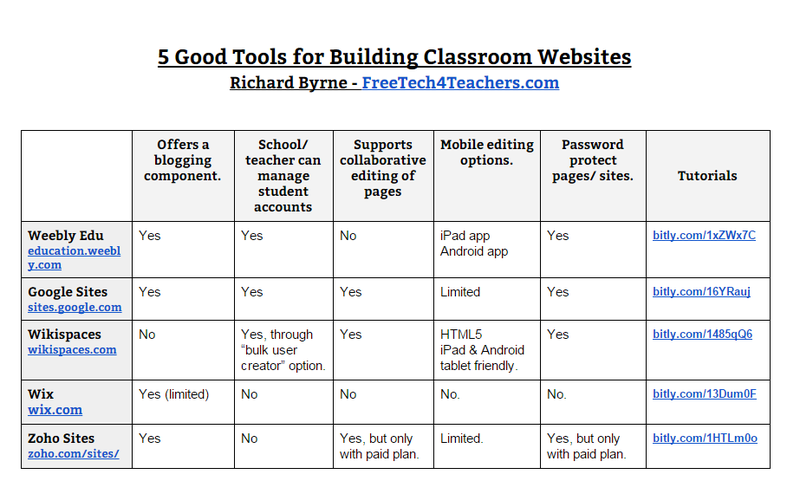 In the chart below I compare five popular tools for building classroom websites. You'll notice that the last column of the chart contains links to tutorials on how to use each service. You can find a Google Docs copy of the chart here or download it through the Box.com widget embedded below.